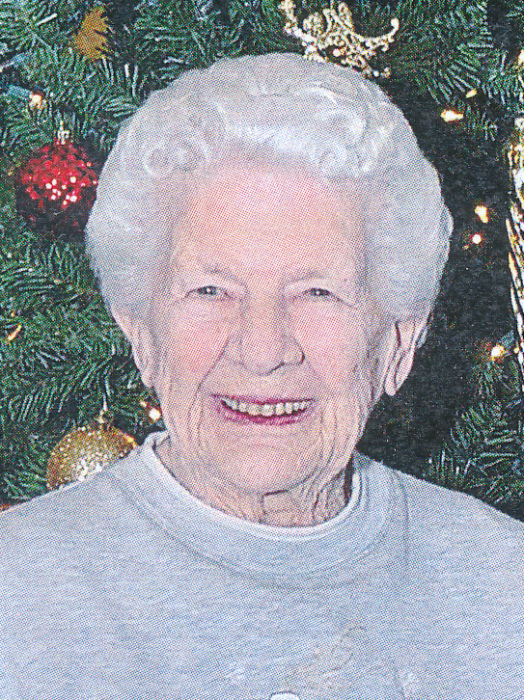 Elizabeth “Betty” Lockert, age 95, of Faribault, MN, passed away Friday, March 29, 2019 at New Perspective Senior Living in Faribault. Private family graveside services will be at the Danish-Baptist Cemetery in Blooming Prairie, MN. Arrangements are with the Parker Kohl Funeral Home & Crematory of Faribault. Elizabeth Lucille was born on November 27, 1923 in Kenyon, MN to Newton and Anna (Hensing) Hildebrandt. At a young age her family moved from Nerstrand, MN to Faribault. Betty graduated from Maplewood Academy High School and then completed her nurse’s training. She was married to Gordon Ditlevson, who later passed away on September 7, 1978. Betty later married Lloyd Lockert. She worked as a nurse a St. Lucas Hospital in Faribault, and then moved to Elmonte, CA where she was an ER nurse. She returned to Faribault and worked at the Faribault State Schools for five years until her retirement. Following retirement, she had lived in Las Vegas. Betty loved to entertain and always made everyone feel welcomed. She is survived by her niece, Chris Schrot; nephews, Bill Grohman, Tom Grohman, Lyle Grohman, and Randy Stenbakken; step-grandchildren, Steve LaMott and Tammy Akemann; and many great nieces and nephews. She was preceded in death by her husbands, Gordon and Lloyd; parents, Newton and Anna; son, James Gordon Ditlevson; daughter, Candace Ditlevson; sister, Lois Stenbakken; and twin brothers, Newton and Norbert Hildebrandt. A special thank you to the staff at New Perspective Senior Living and Minnesota Hospice for the loving care they provided for Betty.